Gor Mahia FC is finalising talks with Croatian coach Zdravko Logarusic to take over the club’s technical bench. Logarusic arrived in Nairobi on Thursday morning from Ghana where he has been coach of Ashanti Gold until last December when he parted ways with the club. The 50-year-old, bald-headed Croat has coached in Croatia, Sweden, Germany, Australia and Ghana and says he has the capacity to change the floundering fortunes of K’Ogalo, 12th in the Kenyan Premier League table winless in the past six games. “I have been monitoring what has been happening at Gor Mahia and I believe this is a great club which deserves to be fighting for the title and not struggling as it is,” said Logarusic when he arrived at Jomo Kenyatta International Airport, Nairobi. More than 10 foreign coaches applied for the Gor job after the position fell vacant following the disbandment of the previous bench that was headed by Cameroonian Anaba Awono. Club legend John Otieno “Bobby” Ogolla has been handling the team for the past month and, with the expected arrival of the Croat, according to the club’s secretary-general George Bwana, the bench will be stronger. We are excited that he has shown interest to coach Gor Mahia,” added Bwana, who said Ogolla and team manager Tom Ogweno would be retained. Ogolla has indicated he needed assistance to handle the team, which has 33 registered players. On Thursday, Gor officials were trying to tie some loose ends and discuss terms with the Croat, who is said to be interested in a one-year renewable contract based on performance. In his application letter, Logarusic said: “I believe I can be an asset to your club in bringing fresh and different approaches, many new technical and practical innovations to bolster true soccer professionalism. He holds a Uefa Pro Licence and three other coaching certificates. Gor Mahia will have to find a way out to make their Kenyan Premier League (KPL) game against Mathare United happen after their request to have it brought forward to Sunday 1 April was rejected by the league secretariat. According to the KPL fixtures for the eighth round of matches released by the league, Gor Mahia’s game stands as it had been planned, with a notable change being in its timing. The game was originally planned for 1900hrs on Wednesday 4 April at the Nyayo National Stadium and was to be televised by Supersport. However, in the fixtures, the game is set for the Nairobi City Stadium on the same date at 1500hrs. The game has also been struck off the roll of live matches for the eighth round as the broadcaster seems to be upholding the blackout it started during the Gor Mahia versus Rangers FC game on Wednesday 21 March. Gor will now have to negotiate with the City Stadium management over the KPL-assigned date, an issue which one official of the club had said was a tall order considering the stadium is mostly busy on weekdays. KPL has announced that the much awaited KPL Top 8 first leg match between rivals AFC Leopards and Gor Mahia has been postponed to a later date yet to be fixed. CEO Jack Oguda while confirming the latest development said they are in the process of identifying the next date but the match has been strongly affected by the unavailability of a suitable venue to host the heavy fixture that has always attracted huge fans from both divides. “Due to unavoidable circumstances we have had to postpone the match to a later date. We will communicate accordingly.” He said. Last week the Sports Stadia management board announced an indefinite ban on hosting Gor Mahia at all their venues including the Nyayo stadia and Kasarani until further notice.KPL had initially scheduled the match for Kasarani on 1st of April. However, after the chaos that dominated the last encounter between the two teams on March 18th , Football Kenya Federation (FKF) announced that the match will be moved to Mombasa at the Mbaraki Stadium though sources also indicated Mbaraki still remain shy of hosting the heavy match. “ We are engaging several stakeholders to see the possible venue including talking to the stadia management board. We are hopeful of getting a solution soon.” Added Oguda. Gor Mahia settled for a barren draw in the Kenya premier league match played at Afraha stadium Nakuru on Sunday. Gor Mahia played well in defence and in midfield and maintained a far greater share of posssession. But they could not break through even after SoNy were reduced to 10 men. Gor Mahia started brightly , maintaining possession for long stretches but luck eluded them as SoNy, now coached bu former Kogalo coach, Zedekiah Otieno stood firm. SoNy did create several scoring chances especially on breakways. Had it not been for some good goalkeeping, from Wycliff Kasaya, they might have stolen a goal against the run of play. Gor Mahia continued to pile pressure but even the introduction of Duncan Owiti Macheda did not yield results. Following last week’s skirmishes after the derby on Sunday pitting Gor Mahia FC and AFC Leopards, it is now emerging that the Kenya Sports Stadia Management Board (SSMB) has ruled they will not host Gor Mahia at their venues – Nyayo national stadium and Moi International Sports Center Kasarani for a period of not less than one year starting immediately. According to the ruling delivered by the chairman retired General Daniel Opande on Friday morning in a press briefing , any game/match or event involving Gor Mahia whether home or away will not be granted access to any of the Stadia managed by the Sports Stadia Management Board.This will last until such a time when the board shall be convinced that the trend has changed. These include Nyayo National stadium and Moi International Sports Center Kasarani that is due to be re opened after two years of closure for multi Million shillings renovations. Gor Mahia FC has also been instructed to pay for all the damages caused at Nyayo during the scuffle that left a number of fans from both divides injured and property of unknown value damaged extensively. Football Kenya Federation chairman Sam Nyamweya was present during the function by virtue that he is a member of the Sports Stadia Management Board in capacity of Federation chairman. Also present during the meeting were officials from KPL. Fresh off their midweek tie with Rangers. Gor Mahia will travel to Nakuru to play SoNy Sugar on Sunday in a Kenya premier league match. They have shown flashes of improvement in the last 3 games. Against Rangers on Wednesday, Kogalo fought like terriers in the second half and it finally paid off with their first goal in 6 games. The attack however still appears to be a problem area. Coach Bobby Ogolla has tried various players at centre forward including Hugo Nzangu, George Midenyo and recently Edwin Lavatsa whom Ogolla praised for his performance on Wednesday. Nevertheless Lavatsa is not a traditional centre forward is better deployed as a winger and support striker to set up the main striker with crosses and passes. The players appear determined to end their winless streak. Word from Gor Mahia camp suggests that the players have been working tirelessly to address their shortcomings. George Bwana, the club Secretary general has expressed confidence in the technical bench and thinks Its simply a matter of time before the club regains its form. Also encouraging is the recent form of goalkeeper Wycliff Kasaya who has shown signs of being able to bringing stability between the posts. He is a good leader, is vocal and commands the goal area. This writer hopes that fans will travel to Afraha stadium to rally behind the team. And this time, fans should keep in mind the fatalities that happened the last time fans travelled to Naivasha. Fans should desist from drinking and no crazy stuff like hanging from car windows. Meanwhile, rumours surrounding the departure of Collins Okoth “Gattuso” to Sofapaka have been refuted by Sofapaka owner Elly Kalekwa who says he himself was surprised by the rumours. Gor Mahia appeared destined for yet another debilitating loss to a Rangers FC team that is straddling the line between existence and disbandment. But a late strike by substitute Baldwin Ngwa saved the day as the score ended 1-1. Gor Mahia started well against a Rangers team that was determined to pull off an upset. Their forwards were active early and created a number of chances. But Wycliff Kasaya in the Kogalo goal was on hand to save the day. Gor Mahia for their part launched several raids. Dan Makori kept the Rangers defence busy throughout the first half. 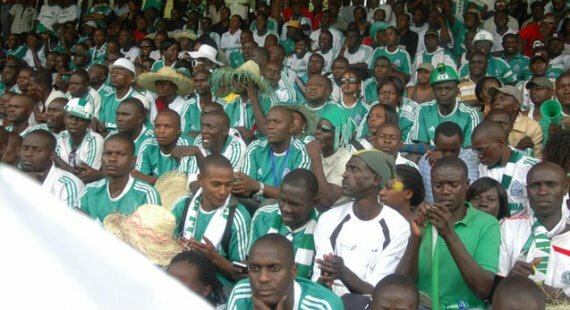 When Rangers took the lead in the 46th minute, Kogalo fans could not help but feel a sense of deja vu. Yet again it appears the team was playing well only to concede a back breaking goal. A well taken finish in 75th minute by Baldwin Ngwa saved the day and savaged a point.Ngwa was a handful for the rangers defence throughout the rest of the game. Bobby Ogolla was unhappy after the match and yet again re-iterated the need to sharpen the attack. The good news is that the team has scored a goal after a drought that lasted 6 games. Gor Mahia now have 5 points. The tie between Kogalo and Rangers which was earlier in doubt has been confirmed. The two will play today at Nyayo national stadium. The match however will not be televised by Supersport due to the violent scenes seen on Sunday in the El Classico. Gor Mahia have shown gradual improvement since the beginning of the league. JBO appears to have focused succesfully on reducing defensive lapses. What is still missing however is the ability to create and score goals. And in the last two matches Kogalo have played with only one out and out striker. Lineup: Wycliffe Kasaya, Solomon Nasio, Christopher Wekesah, Musa Mohammed, Teddy Akumu, Ivan Anguyo, Moses Odhiambo, Moses Otieno, Rama Salim, Dan Makori , Edwin Lavatsa. In the wake of the crowd trouble that marred their barren draw against big rivals AFC Leopards, Gor Mahia were left with sour grapes and irked about referee Davies Omweno’s overall performance in the game on Sunday 18 March. Gor Mahia midfielder Ali Abondo was red carded for a high tackle on Amon Muchiri in the 67th minute which caused fan trouble and Gor Mahia’s fiery vice chairman Faiz Ochieng says the referee was wrong to show the card, which sparked the unrest. Speaking to futaa.com, Mr. Ochieng said the referee seems to be sworn to ensuring Gor Mahia fails, with the same referee having been in charge last season when Gor Mahia’s games against Rangers FC in the league and Ulinzi Stars in the Top 8 tournament which were abandoned and pronounced that the club will be writing to the Kenyan Premier League (KPL) over the issue. -I would like to congratulate both sets of players for a good game because they did their best to try and see that the game ends well. However, we are disappointed in the referee’s performance in the derby because the guy seems to be a sworn hater of Gor Mahia. I have already told GMT Otieno this and we are even going to write an official protest to KPL over the ref. -The red card on Ali Abondo was very unnecessary in such a game which normally has a lot of tension and to make it worse, when he was sent off one of our players was on the floor, he ought to have stopped play. The referee clearly lost it also because Ali is a very humble player and if he fouled Amon it was not one to warrant a red card, he said. -He is even the same man who spoilt our matches last season against Rangers FC in our first game of the season and also the one against Ulinzi Stars in the Top 8. Needless to say, both games were abandoned but this time we are saying enough is enough. On Monday we are writing to KPL to complain about him, he added.